At the beginning of each year, tech journalists and everyday consumers love to speculate about the types of technology that the future will hold. And I’ll admit, I like to partake in these activities as well. But as I look back on predictions for 2018 (which started emerging at the end of 2017), I couldn’t help but notice the sheer quantity of missed or overzealous predictions. The fact that tech journalists are constantly overestimating the rate of progress in the tech industry is symptomatic of a bigger problem, and if I had to guess, I’d say 2019 won’t be much better. On one hand, I can’t blame tech journalists. Part of the problem here is that people don’t want to read boring predictions. They don’t want to hear that self-driving car technology will continue developing at its current pace, with few (if any) major legal breakthroughs. They want to hear that 2019 could be the year when the first fully autonomous vehicle hits the road — even if that prediction isn’t accurate. If you want clicks, comments, and shares, you need to be ambitious in your predictions, which cultivates a trend of exaggeration. We also need to examine how our expectations as a society are starting to overreach our real capabilities. Between the 1990s and 2000s, Moore’s Law was in full swing, the internet emerged and started to define itself, and hundreds of tech companies rose up to change our lives, from eBay to Netflix to Uber. The Washington Post is just one source that predicted that the arrival of the Apple HomePod would change the landscape of smart speakers, propelling a medium that already had a lot of momentum forward. And to be fair, smart speakers had a very good year; sales increased, new models were debuted, and the quality of voice searches increased. But none of it dramatically changed the landscape of smart speakers, or set the groundwork for a true “smart home” experience. Specifically, it looks like HomePod sales fell flat — even compared to Apple’s own estimates. Despite projections of selling 3 million units worldwide, the real number looks closer to 1.3 million. BusinessInsider is one of many sources that predicted that 2018 would be the year cryptocurrency took hold. Part of this was due to the massive spike in the price of Bitcoin that emerged at the end of 2017, in response to the hype around crypto. Everyone was talking about it, everyone was excited about it, and people wondered how much longer it could grow. The answer, of course, was not long, since the price plummeted in January, and just kept falling. Most major financial institutions are now more pessimistic about cryptocurrency’s potential, with Goldman Sachs being very bearish on Bitcoin, even after its plunges in 2018, and famed billionaire Warren Buffett doesn’t even consider it an investment. There may be room for cryptocurrency to come back, but the predictions at the end of 2017 were driven by excitement and greed. 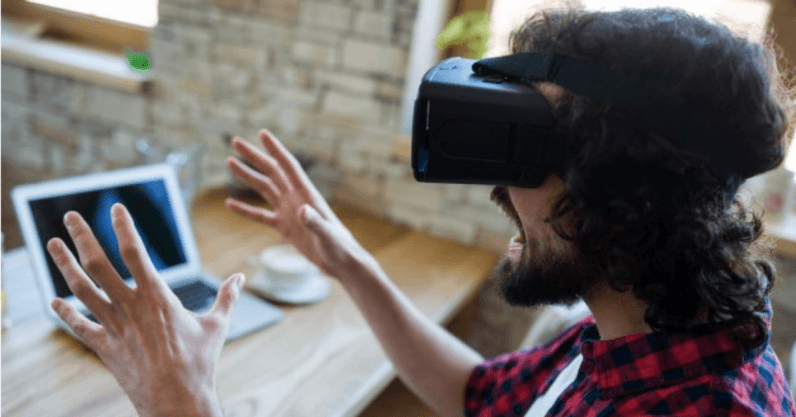 The past few years have been abuzz with interest in the future of virtual reality (VR) and augmented reality (AR), with new tech like Oculus Rift and mobile apps like Pokémon Go paving the way for high consumer expectations. Even major institutions like Gartner predicted that VR and AR would finally start becoming more popular in 2018. This prediction is a little more complicated to tackle. There are more competing VR headsets and more investment in VR and AR than ever before, but consumer sales are in a tailspin. While there has been some progress in this area, we’ve ultimately gone yet another year without mainstream acceptance. Will 2019 be any better? So is 2019 going to be any better? That’s hard to say for sure, since we’re still in the middle of prediction season, but I’d guess our predictions are only going to get worse. Consumer expectations for high-paced tech development are still at an all-time high, as evidenced by the disproportionate attention that tech stocks get in trading (and the endless allure of new gadgets that provide only minimal upgrades). And of course, clicks are still king on the internet — the best-performing prediction articles are going to be the ones with the loftiest predictions. That’s going to inspire our tech writers to push the boundaries of our imaginations. Predictions for 2019 are emerging everywhere, with insights that range from obvious to ambitious. But among them, we can chart a handful of trends. First, there are follow up predictions. These tend to tack onto or update predictions from previous years. For example, there’s no shortage of articles claiming that VR and AR are set to dominate the market. I get why these exist — there are several technologies that seem to always be just around the corner, so it makes sense to keep predicting them to manifest or becoming complete in next year prediction cycle. Then, there are predictions that play it safe. These are predictions like “Technology will play a bigger role in improving workplace wellness.” These are often vague or descriptive of something that’s already occurring. You’ll often see these peppered into otherwise ambitious articles so they can have grounding with predictions that can’t possibly be unmet. Finally, there are the same types of overreaching predictions we saw in 2018, and 2017, and so on. These are predictions that take a hint of a future technology and blow it up to undeserved proportions, like predicting that consumers will start demanding to know whether the entity they’re speaking with is actually a human being (presumably due to the increasing popularity and sophistication of chatbots). I suspect we’ll be seeing a lot of these. As you review tech predictions for 2019 (and beyond), try not to take the material you’re reading too seriously. Most tech writers these days are more interested in building hype and offering more ambitious foresight than their competitors, so you can’t count on them as an accurate barometer for where the market is headed. Tech innovation is anything but predictable, so we owe it to ourselves to set more realistic, more conservative expectations.